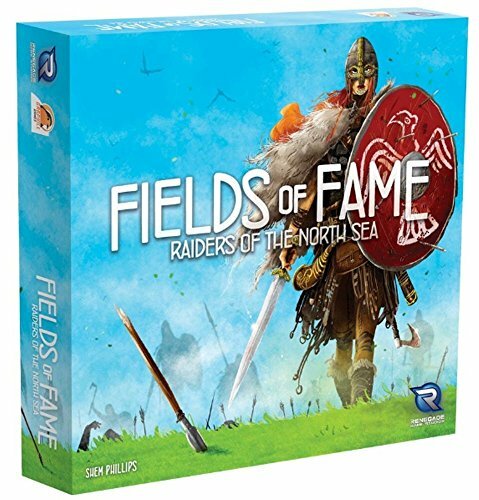 Raiders of the North Sea - Fields of Fame Expansion Review — GamingWithSwag.com - Dads By Day, Gamers By Night. Allows for a 5th player with the base game, and if you own this and the Hall of Heroes expansion you would have all that you would need for 6 players, however the official stuff from Renegade doesn't mention that so maybe there are some play-testing issues that may require some house rules to pull off. The main addition is a new addition to the board which includes some more places to raid and the threat of Jarls, which are powerful leaders that you can encounter that will force you to pay the price for facing off against them but you can subdue them to join your crew or kill them for glory. That glory is manifested in a new path for victory points further diversifying the means of working toward the end goals of the game. You get new "wound" tokens, and a smattering of extra tokens so that you can fill up the new areas the expansion adds to the base game. There is also a set of new "Valkyrie" dice which you can use to add some more risk to raids to spice up the game. Like the Hall of Heroes expansion the components/rulebook/box are a seamless match to the base game and feature the same wonderful artwork by Shem Phillips. 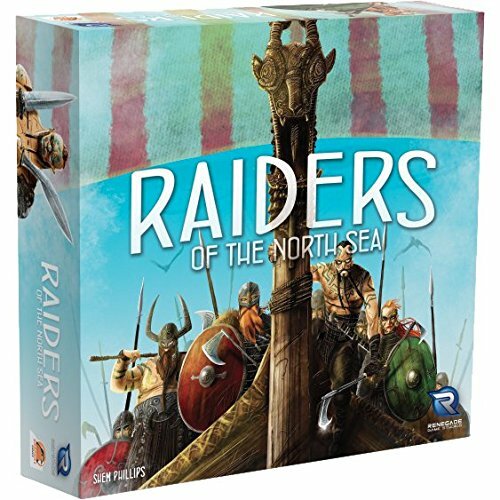 Raiders of the North Sea has become my favorite new game, the kind of game i could play at every game night and not get tired of it for awhile. I find that whether or not I am dominating or just fighting to keep pace I feel like I am making progress and I am enjoying myself. This expansion is the better of the two although I like Hall of Heroes as well, but it makes some parts of the game remain important throughout the whole playthrough. In the base game and HoH you can recruit a team and generally stick with it with minor changes perhaps for the endgame, but now with the wounds from jarls and limited ways to heal your crew you more often have to hire new crew to replace them. This means you continue to go to the town hall to draw cards, and you still need to get money to hire them. With the continued drawing of cards you come across fun things you can use for their play effect, and the same cards you have had start meaning more. You and the other players are in continual cycles of ramping up-pillaging-bleeding-repeating while occasionally cashing in on other paths to victory points. The need to ramp back up makes the speedy conquest of the world a little slower and more interesting, with more cards being played to spice things up. If you have the base game I think this expansion is a wise investment to keep the game fresh and your outcomes more diverse.